The Taj Exotica Resort Maldives is a very exclusive 5* romantic island with exotic tropical plants, white sand and turquoise waters in South Male Atoll. 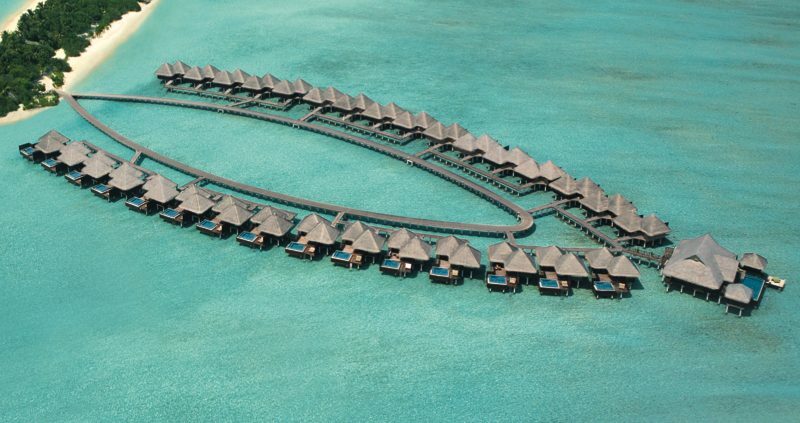 It is surrounded by the amazingly clear waters of one of the biggest lagoons in the Maldives, it is everything you would expect from a maldives island. 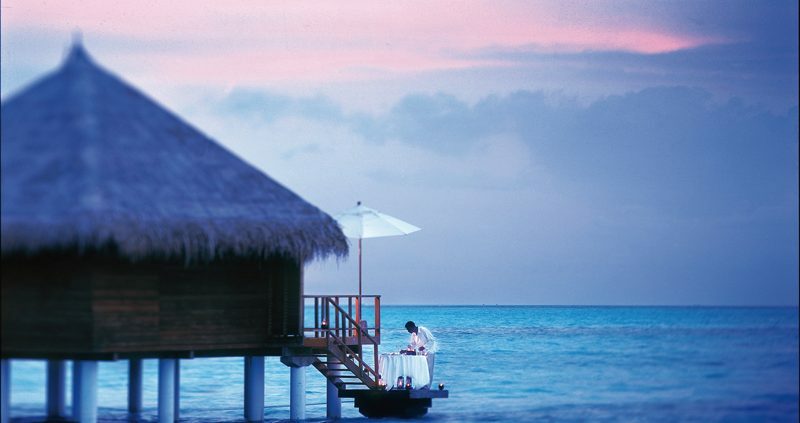 Taj Exotica Resort and Spa Maldives spreads idyllically along a beautiful beach this award winning island is truly remarkably, its natural beauty bestowing the best in luxury. 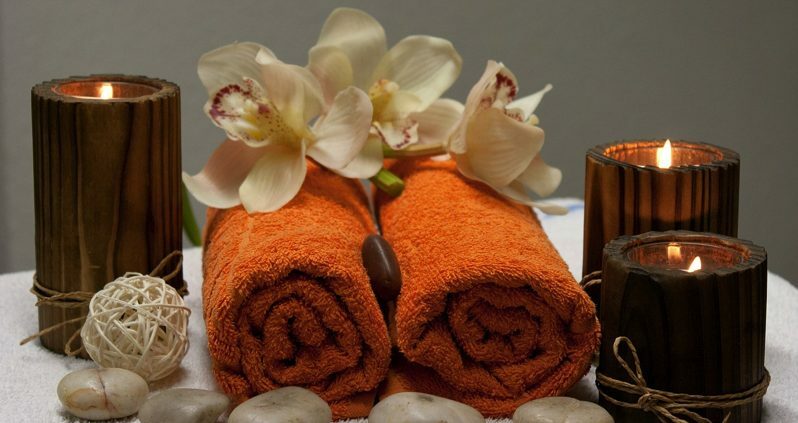 Ideal for your romantic, relaxing, luxury holiday- that special treat you have always promised yourself. The resort has 64 palm thatched villas, all with air-conditioning, a minibar, TV, phone, DVD/CD, tea and coffee making capabilities and terrace. Lagoon Villas are on the island located just a few steps away from the lagoon, giving amazing ocean views. Deluxe Lagoon Villas with Pool are individual villas with plunge pool on the deck. Premium Villa with Pool, feature a private beach area, oversized plunge pool, verandah with sun beds, a tropical outdoor shower in a private walled garden. Deluxe Beach Villas with Pool have a large plunge pool and outdoor shower and are only 5 metres from the lagoon. One Bedroom Beach Suites are beachfront, with spacious living room and a large plunge pool. One Bedroom Ocean Suites with pool are over the lagoon. It has a suspended sundeck with powder soft sand. 2 Bedroom Beach Suite features a spa and pool and enjoys a dazzling view from the sunset balcony on the first floor. Simply Luxurious. 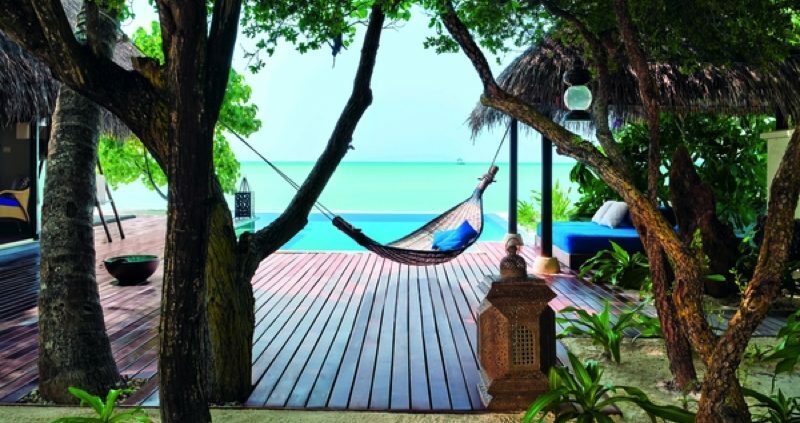 The Rehendi Presidential Villa at Taj Exotica Resort and Spa Maldives has 2 bedrooms and an amazing suspended sand deck. It is simply incredible. 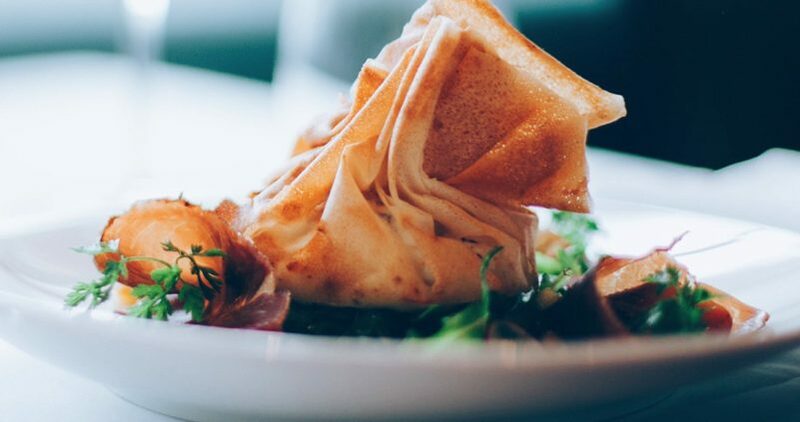 There are 3 Restaurants: 24 Degrees will allow you to indulge your taste buds with a wide variety of dishes, from Pan-Asian cuisine to international favourites. The Deep End restaurant can be found over the water, and offers mixed grill and seafood dishes. 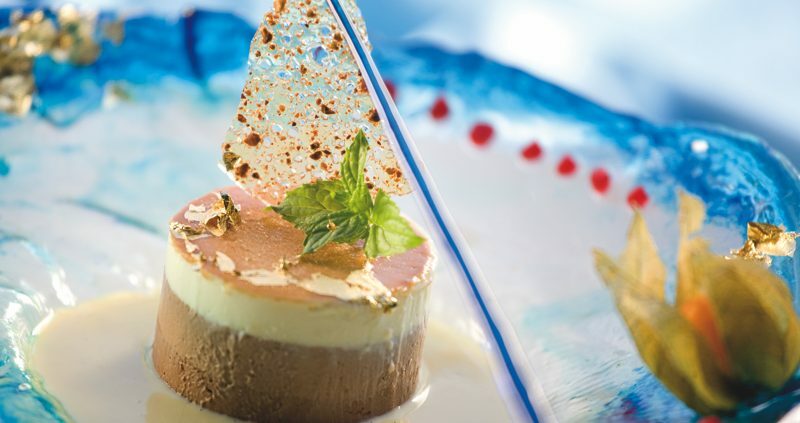 Try their signature desert The Opera for something really special. The Poolside Bar and Grill are next to the infinity pool and offer light snacks. Half Board and Full Board meal options are available. Full Board meals are eaten in the 24 Degrees restaurant. Guests on Half Board or Full Board are also entitled to a US$60 discount in Deep End Restaurant. The Equator bar offers wines, traditional vintages, cocktails, cigars and shishas, all can be enjoyed on the spectacular sunset view patio. 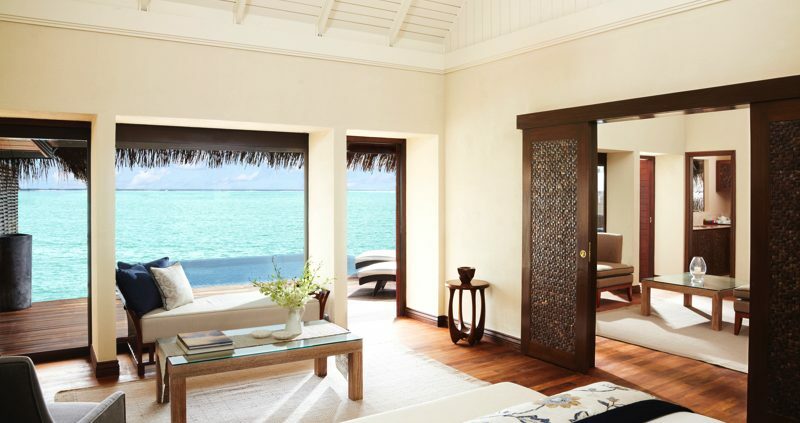 Taj Exotica Resort and Spa Maldives boasts the first authentic Indian spa outside of India, the Jiva Grande Spa offering a range of treatments designed to relax you. 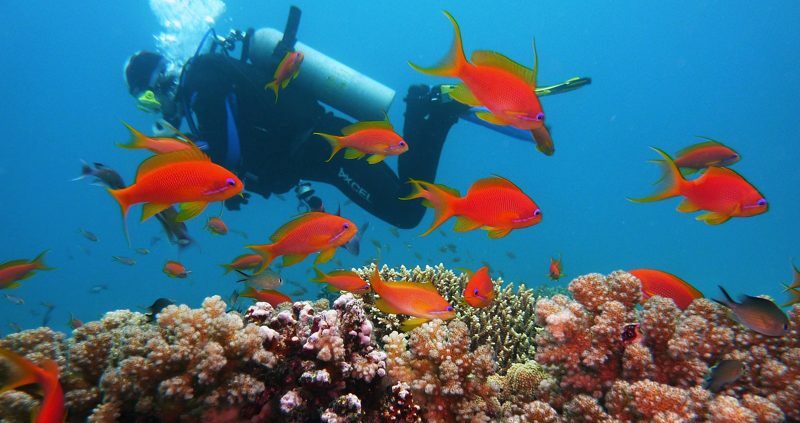 There is a fitness centre, water sports, an Eco aware PADI dive centre, library and boutique. An array of different dining choices, dress up for dinner in the exotic 24 Degrees restaurant or enjoy a moonlit Champagne cruise. A range of great experiences can be arranged, including sunset cruises and snorkeling trips can also be arranged on request. Other facilities include a bar, wine room and an infinity pool.